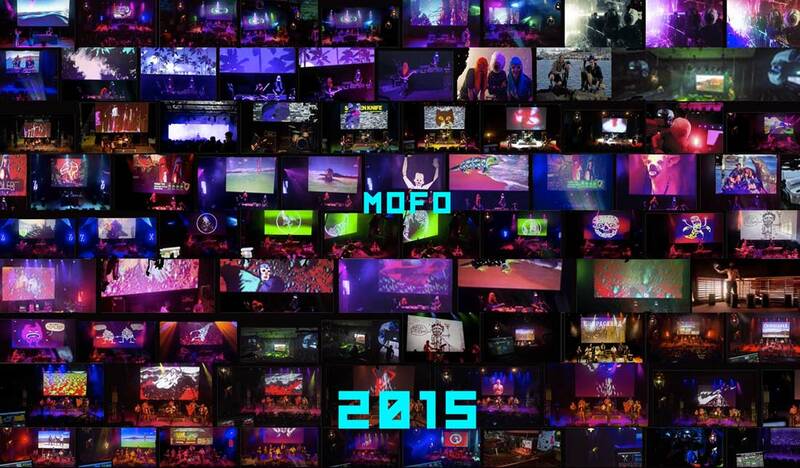 Triple-Screen Video Projections at the MOFO Festival club, ‘ Faux Mo‘, Jan , 2015. Highlights included doing video for – the Frikstailers (rad Argentinian duo), ZA! (Barcelona crazies! ), Chupacabra (Hobart based Latin American band), Vulgargrad (Russian-gypsy-punk! ), The Osaka Ramones (Aka Shonen Knife doing Ramones covers), Mad Professor (dubb-b-b), and The Bird – and getting to animate the illustrations of Hobart artists – Tom O’ Hern and Dane Chisolm. Other festival good-times: Tim Hecker, Zammuto (ex-Books), playing on Robin Fox’s laser-organ, a very tightly crafted audiovisual set by Filastine + Nova, impromptu whisky-bar parkour by Jamin, Keith Deverell‘s film installation, and a few moments inside the inflatable labyrinth by Architects of Air. Special shout-outs to Jason James for making the AV tech run smoothly. See also: MOFO 2013, Dark Mofo 2013.